Hey folks, anybody having trouble adding a song to their song book? I've done it hundreds of times but now when I click on add to my song book I keep getting directed to these stupid pop ups wanting me to download extensions.. I have moved your post as this is an 'About Chordie' question. The usual cause of this type of problem is 'cookies' (and not the ones you find in the pantry ). Please try clearing your cookies and see is this resolves your problem. I cleared my cookies to no avail. Still will not let me add songs to my songbook. Unless you state exactly what is happening when you try to add a song, no one can help you. The problem is with your computer and not with Chordie otherwise everyone would have the problem so please give details - the device are you using and specific details of the problem. I am having the same problem. Since the update, I can't add any songs to my songbook. When I click on ADD, nothing at all happens, I used to be able to do it, no problem. I am having this exact problem. I cannot add any song to my songbook because once I've either searched and selected a song, or navigated to a song.. I am apparently logged out. 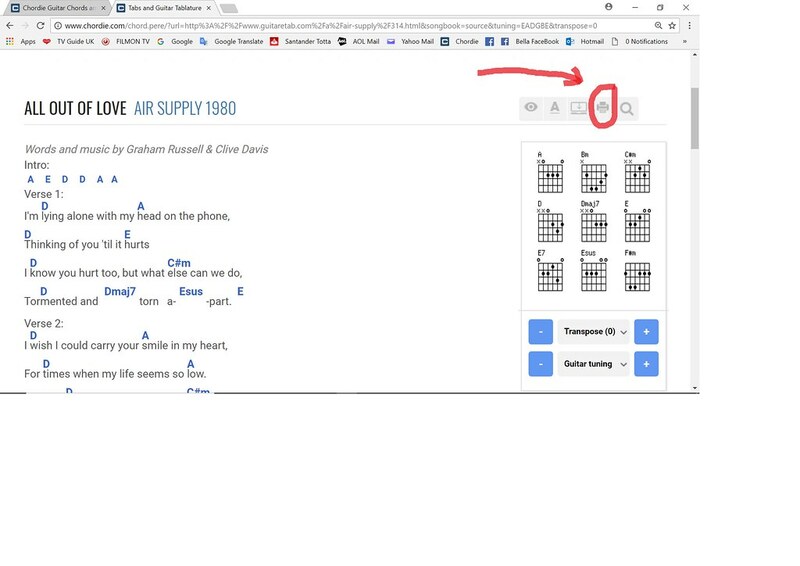 My name no longer appears in the upper right hand corner, and instead of "add to songbook" option, I get, "log in and add to songbook" as an option. As soon as I try to login.. it directs me to a forum and away from the song. Never ending cycle, regardless of which song I'm trying to add. Help! Let us know if you need further help, otherwise, welcome to the forums!! Good point!! +1 for CCleaner! Has this issue been resolved? Since the update I have not been able to add songs. I am stuck at 99. I have cleared the cache and history etc. I am logged in, but when I got to search a song and add it, I has me logged out and I have to log in. At that point I’m starting over and the same problem continues to happen. I am using an iPad and MacBook. ^ I believe each song book is limited to 99 songs, however you can create as many books as you'd like. Try deleting some songs or creating another songbook. I am a new member and was having the exact same problem. I was logged in, then when I tried to add a song to my songbook, it reckoned I was logged out and it just took me to the forum page without any resolution.